Last night for our Amy. One of our young stars are heading north! Yes, our Young Leader, Amy is heading up north to Inverness for her work placement for the next year. 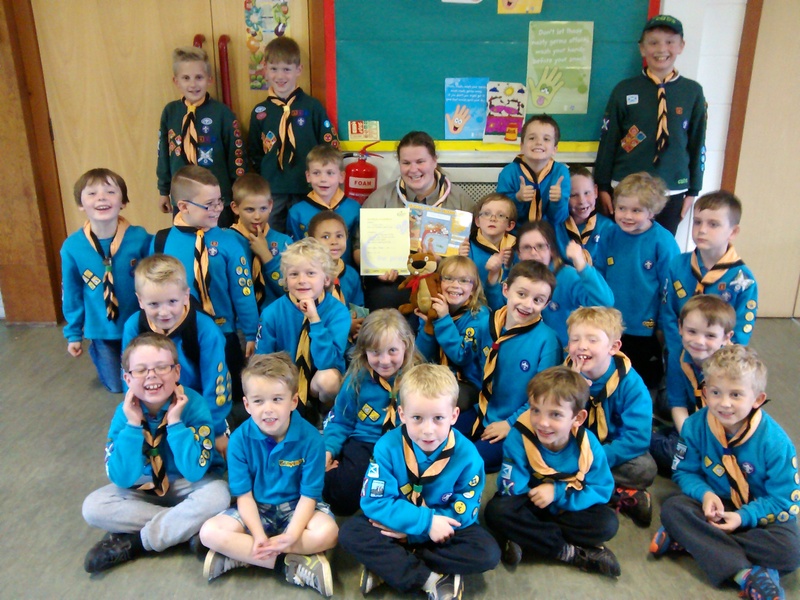 So our Beavers’ gave her a great send off, with a few small gifts that we’re sure she will find a use for. People like Amy, and Alice , her sister, don’t come along often. Have a great year young lady. Our Amy has her last night before her next great adventure.